Three men arrested by detectives investigating the murder of father-of-five Brian McIlhagga in Co Antrim have been released. Three men arrested by detectives investigating the murder of a father of five in Co Antrim have been released. Brian McIlhagga, 42, was beaten and shot by a group of masked assailants who dragged him from a house in Riverview Park in Ballymoney in January 2015. A 33-year-old woman who lived in the house was also assaulted by the gang and four children in the property were left traumatised. The arrested men, aged 33, 34 and 49, were detained in the north Antrim area on Tuesday. 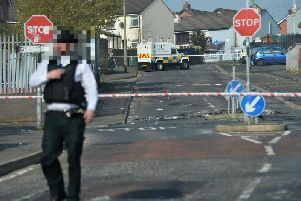 As well as the murder, the men were questioned about a paramilitary-style shooting in Ballymoney in March 2015 and other serious crime. They have been released without condition.